Store your jet-ski, boat, or trailer indoors or out. 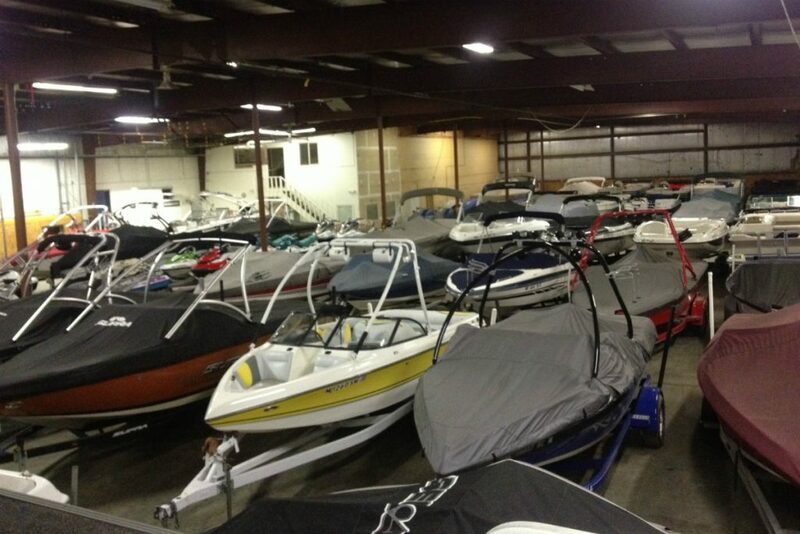 You can be confident your watercraft is safe and secure at our gated storage facilities. Once we have put your boat or jet-ski into storage, we encourage you to come and see where your boat or jet-ski is being stored because we believe that it is important to actually see that your investment is being stored properly. Call today for prices and availability. Bring your boat to someone you can trust to get the job done right. 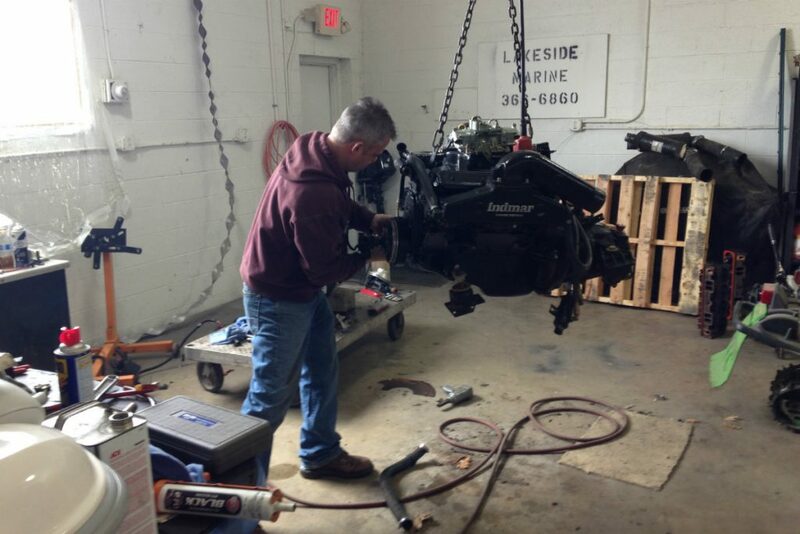 We fix inboard, outboard, and I/O motors, jet boats, pontoons, ski boats–you name it, we have experience fixing it. We also haul boats; we offer pick up and delivery and can haul your pontoon or tri-toon. 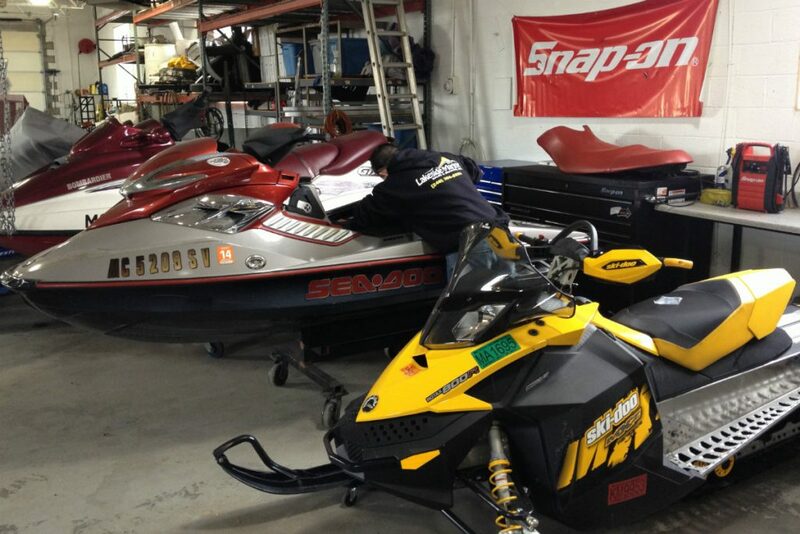 Spring start, tune-up, new top end, complete motor rebuild–we handle all of your jet-ski repair needs. We have the latest technological equipment to diagnose the newest of 4-stroke personal watercraft accurately without having to pay top-dollar dealer prices. Michigan summers are short, and we can get your personal watercraft running and back in the water as quickly as possible at a fair price. We provide sale and installation/removal of new and used dock and hoists. From top of the line products to standard dock systems, we offer better pricing than most dealers! Our expert dock and hoist crew prides itself with superior installation and adjustments to keep your dock and hoist looking perfect all season. We believe that Lakeside Marine is the best in the business when it comes to installing and maintaining your dock and hoist. 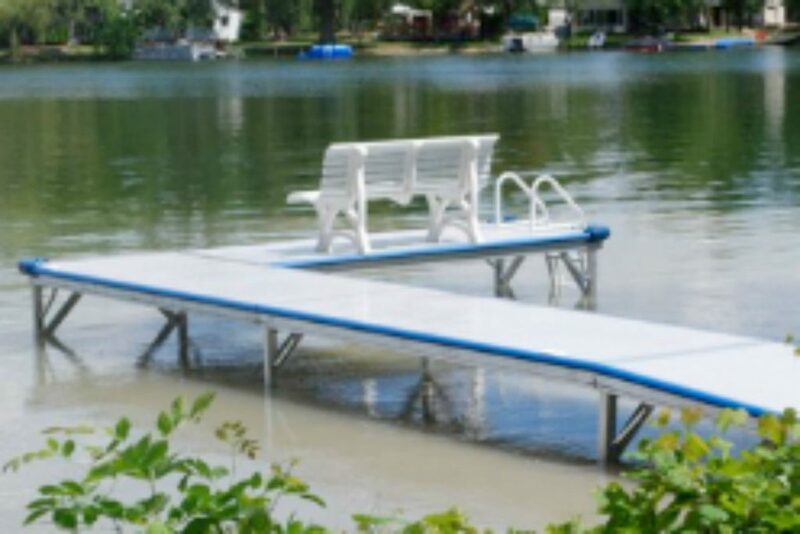 We can match you up with the ideal new dock system for your lakefront property or install the dock system that you have always wanted. We can transport boat hoists from one location to another both in and out of water, and we can also come to your aid to retrieve hoists that have been dislocated, blown over, and/or sunken after storms. Call today and schedule an appointment with one of our dock and hoist representatives for your free estimate! We specialize in boat, jet-ski, and snowmobile repair as well as indoor/outdoor storage, shrinkwrap, and seasonal maintenance. We have a small inventory of used boats and jet skis for sale. We also offer new/used dock and hoist sales, installation and removal. We pride ourselves in quality work and customer satisfaction at a fair price so that you can get back out on the water as quickly as possible without hassle. Visit our showroom in Commerce Township for oil and other accessories. 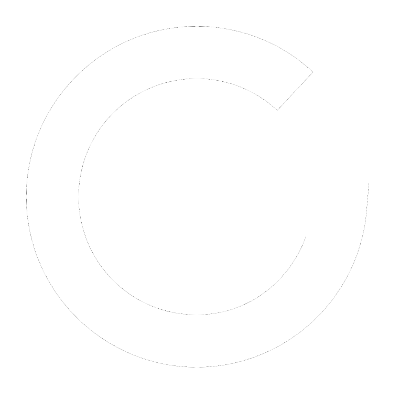 Proudly serving Michigan’s Oakland County lakes area. We are dedicated to the local community and have continued setting our quality expectations high, to ensure you will get to your destination safely. Our motto among our employees is “Repair every watercraft like it is your own.” We hope that soon we can be of service to you for any of your marine needs!